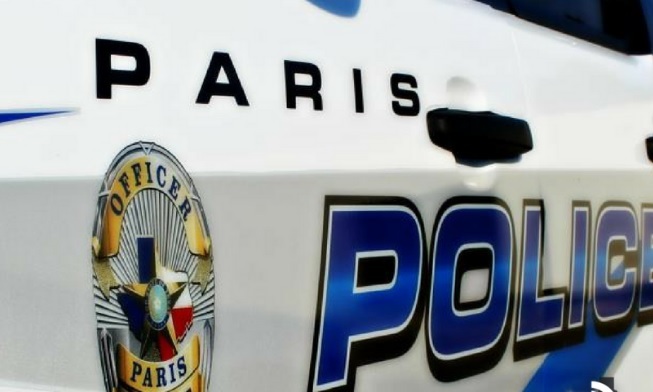 Paris Police was called to the 400-block of SE 19th after a resident in the area noticed an individual carrying a 55” TV on a home surveillance system. Video revealed the person with the TV going through a backyard and placing the set over a fence and crawling over, then placing the TV at the back of a residence. Officers attempted contact with residents of the home where the TV was found without success. Officers recovered the TV and brought it to the station. The TV has not yet been reported stolen according to a check of the serial number. There are two points on this particular case. First, the department really appreciates citizens who pick up the phone and call when something suspicious is witnessed. There may be a legitimate explanation of what took place, but the person’s actions indeed point to theft. Secondly, many residential burglaries take place during daylight hours obviously when people are not at home. If you see something suspicious, please give us a call. A cooperative effort between the Paris Police Department, the Leon County SO, and the Palmer Police department resulted in locating a Paris man who had been reported missing. Relatives said that the man had left his home here in Paris around 4:00 am. Relatives were not aware that he had left until receiving a phone call from him that he was in Bells around 5:45 am. Relatives went to that area and did not locate him. Paris officers became involved when a relative reported the man missing around 2:00 pm. Officers were able to talk with the man by cell phone at different times. It was clear that the man was confused and not sure where he was. The location of the cell phone was discovered by ‘pinging’ the phone. Officers contacted the Leon County SO around Buffalo TX who in turn notified local officers. Another ping indicated the phone had moved outside of Leon County and was now closer to Palmer. Officers with Palmer PD went to the area and found the individual at a gas station on IH 45.